The Emozione Sofa Collection by Natuzzi Editions was designed with the focus to be your ultimate comfort and relaxation. The plush seat, adjustable back rest, and ergonomically formed sloped pillow arm rest make that happen. Please note that Foster's only utilizes 100% top grain premium quality leather to cover the entirety of this design. 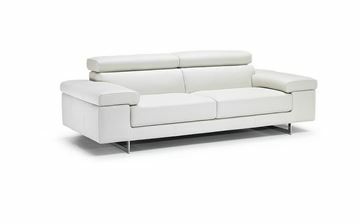 The Saggezza Loveseat by Natuzzi features clean lines with balanced symmetry. 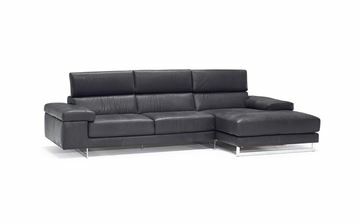 The series is available as a sofa, loveseat, chair, and ottoman. Aside from the modern and minimalist looks, you'll love the tremendous comfort. Thanks to rounded edges added to plush arm, seat, and back cushions, you'll love every minute of time spent relaxing in this design. 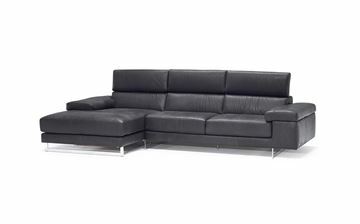 The Saggezza Sofa by Natuzzi features clean lines with balanced symmetry. Available as a sofa, loveseat, chair, and ottoman. Aside from the modern and minimalist looks, you'll love the tremendous comfort. Thanks to rounded edges added to plush arm, seat, and back cushions, you'll love every minute of time spent relaxing in this design.